French tennis has long breathed beauty. French tennis has long needed beauty. French tennis has long given us beauty. Creativity is its user name. Delight is its password. French tennis is a rich canvas – stroke and flow. Flair and imagination ignite the spirit. The moment enthralls. An athletic grace astounds. Lyrical shots impress. No – neither Monet, Cezanne nor Matisse are on court. Never mind what the imagination envisions. This is a heritage with deep roots. Suzanne Lenglen was a ballerina on court, bounding into the sporting life of the 1920s. Similarly, France’s Four Musketeers lifted tennis to the forefront with élan and elegance. In the modern era, Yannick Noah gave us a raw but accessible athleticism that lit up stadiums. It’s hardly surprising that Yannick was the first man who gave us a high-profile tweener. Running at full speed, back to the net, he struck a between-the-legs return of Aaron Krickstein’s lob at the US Open. Over the eras, French tennis has said much. Henri Leconte, with his flat flair, would blast his flamethrower shots with a distinctive, snappy ferocity. Still, during a critically important Wimbledon semifinal he paused to delicately remove a butterfly. Somber professionalism was rarely front and center in Leconte’s playbook. He recently confided, “Ever woken at night and walked outside [your hotel room] thinking it was the toilet?…[I] did! Naked, [I] had to go to the lobby!” Now Leconte has evolved into a Charlie Chaplin mimic who delights crowds around the world. En route to winning Wimbledon, the French 1,000-1 long shot Marion Bartoli said she turned around the match when she spotted Pierce Brosnan in the Royal Box. No other player was shaped by more wacky techniques. Her dad would put her in harnesses or attach tennis balls on the soles of her shoes so she would stay on her toes. Gael Monfils often leaves his toes. The guy’s as flexible as Djokovic – and his leaps are greater than those of Novak’s coach, Boris Becker. On court, there is no greater showman. One senses he’d rather hit a beautiful shot than pocket a big win. But for all its creativity, French tennis has had its problems. Often edgy, and riddled with nerves, French players are adept at turning Roland Garros into a home field disadvantage. Just ask Mauresmo. And France’s players seem to come up with more than their share of injuries. Monfils pulled out of this year’s French Open, and his career has been plagued by mishaps. Plus, for all their beauty, the French are not the grittiest of battlers. Former pro Mark Knowles said, “the best player of all time could be created by fusing Gael Monfils’ athletic ability and David Ferrer’s determination and mental toughness.” A Frenchman hasn’t won a Slam since 1983. All of which brings us to Richard Gasquet. Once a dazzling prodigy, he appeared on France’s tennis magazine as a kid, has a backhand from heaven and long ago was deemed to be a sure-fire champion. 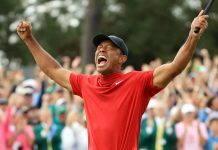 But his explanation that he tested positive for drugs because he kissed a woman in Miami may have attracted more attention then his considerable wins. Gasquet has won 12 titles, earned over $13 million and was ranked as high as No. 7. He’s now No. 12. Bottom line: Richard makes deep runs into big tournaments, but rarely prevails. He’s reached three Slam semifinals, but never a final. Amazingly, he’s failed to get beyond the fourth round ever at Roland Garros. In recent years, other French players – Tsonga, Monfils and Gilles Simon – began to grab the headlines. But this year in Paris was different. Gasquet downed the great young Aussie talent Nick Kyrgios and crafted a sound four-set victory over long shot contender and feared No. 6 seed, Kei Nishikori. 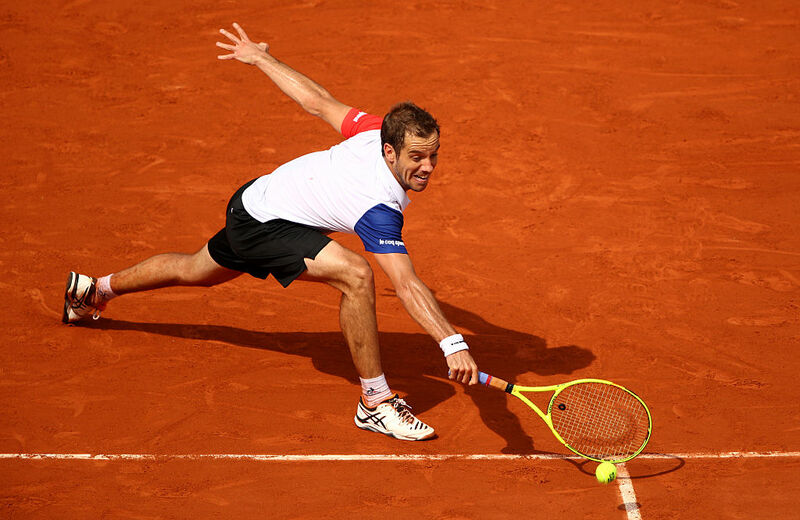 Today, Gasquet scored a striking 6-3 first set win over the No. 2 seed Andy Murray. This was the lion-hearted Richard we love. The man’s backhand is a work of art. He unleashes deep whippy blasts that amaze. His shots seem to have more curls then Shirley Temple. He cuts off angles like an unhappy butcher and he punished Murray’s ill-conceived drop-shots with an unsparing severity. There were magical scrambles and a singular moment when he hit a “pirouette and punish” back-to-the-net backhand overhead winner. Was it the most sublime shot of the tourney, or the year? It had to be seen. The crowd exploded – “Wree-shard! Wree-shard!” their singsong chant. “This is a great piece of theater,” gushed broadcaster Chris Bowers. But we know that all things must pass, and French players always do find a way to fall on their faces. Gasquet was no exception. His legs soon lost their power. His will went out for a baguette. Murray’s serve and forehand began to punish. Many in the French crowd chose lunch. Brit Andy – neither pretty nor shaken – crafted a 3-6, 6-4, 6-1, 7-5 win that his former coach Ivan Lendl certainly would have applauded. But Gasquet had his thrilling moments. Great artists usually do. Then again, tennis in this lovely land is sometimes more about form then function. The spiritual leader of French tennis once confided, “I just want to be in harmony with life.” Yannick Noah added, “I want to be successful at tennis, to be good at my work, but to me, the most important thing is to make a whole stadium enjoy themselves. That’s what tennis is to me.” And that may well be what tennis was today to an artist with a backhand – Richard Gasquet.